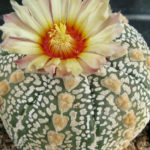 Astrophytum asterias ‘Super Kabuto’ is one the most popular cactus cultivars. 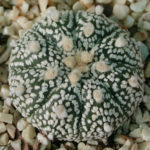 It is easily distinguished from the normal Astrophytum asterias by the epidermis, that does not have simple dots, but a mosaic of extensive white spots that make the plant look intensely maculate. Astrophytums are not vigorous plants and they require a lot of patience to reach their full potential. Keep regularly watering and feeding them during the growing season and repot annually to give them space to develop. They need a temperate, dry winter as well, and make sure not to overwater them to avoid rotting their roots. 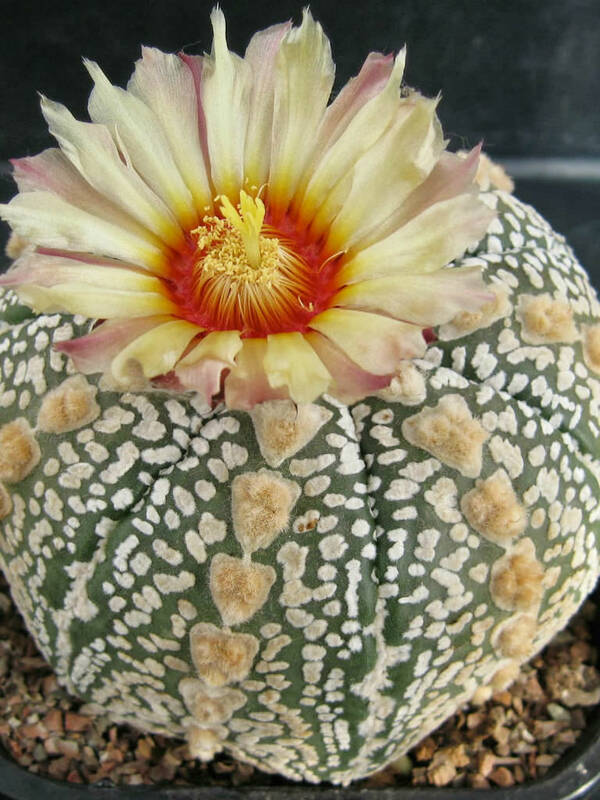 If given sufficient care, they will develop marvelous flowers once they reach maturity. 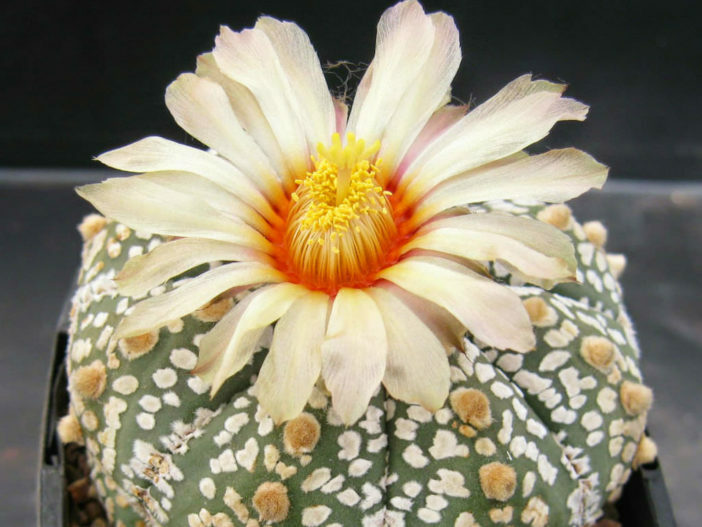 Watch out for common cactus pests like aphids and scale, as well. These can often be taken care of by a good eco-friendly pesticide, or simply wiped away with cloth. 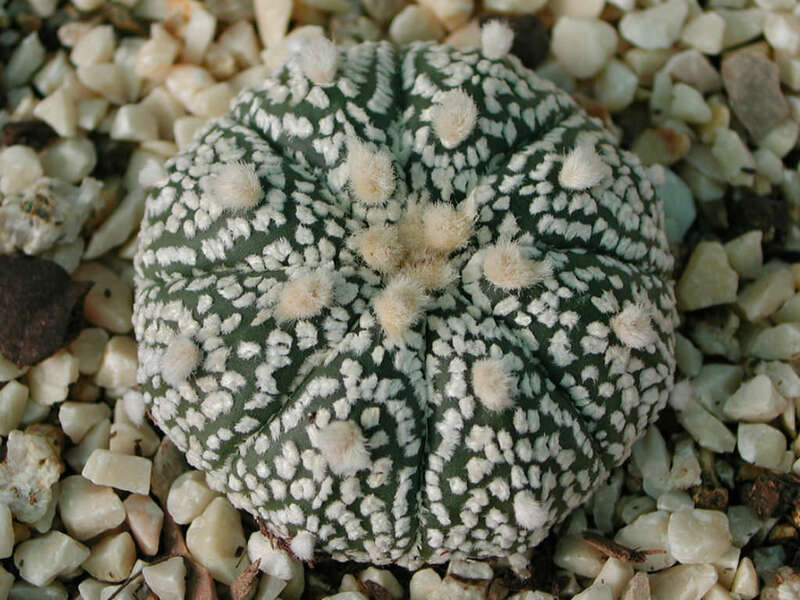 Astrophytum asterias ‘Super Kabuto’ is the most popular cultivar of Astrophytum asterias.